Recently, while channel surfing on TV, I happened on a little repartee on the war in Afghanistan and I couldn’t help but notice in all the wit and pontification that Pakistan was barely mentioned since we’re there, too, chasing down al-Qaeda and the Taliban. With robots: Predator Drones. This bothers me deeply because, with me, it’s all about the children and in these wars a few of them (with one being too many) have died and those still alive are shaking with fear to their bones and the media coldly shines it on. This is particularly sad since children represent what hope there is in wars ceasing to be. Yet our actions lead both the children who are caught up in these “illegal” wars and our children here at home to see military force as an extremely popular option to take when it comes to resolving heated disputes with one’s “enemies.” In this moment in time our enemies just happen to be, in our society’s mind, a bunch of towel-wearing-Koran-reading martyrs chasing nubile virgins in the after life after blowing themselves to smithereens trying to kill U.S soldiers and marines. So we chase them over mountains and in caves and, because “they all look alike,” fear and loathing is built for Middle Eastern folks, in general, and our children look on and they, too, begin to fear them and loathe them – and vice versa. And is there anything that can cause a human being to aim a weapon and fire at someone more than fearing and loathing that someone? I’d dare to say that the reason we don’t hear enough news we can use is because we simply don’t actively love our children or the children of the world enough. We have to admit that no one in high places, the president, the congress, the senate, the state legislators, the generals, the admirals… – none of them speak in behalf of the children and, on a scale large enough, none of us do either. And what if he began to speak to his military brass from the perspective of one who has children and, as Commander-in-Chief, issued an order to them to think of their children and the children who are being killed under their command as they plan their operations. I would wager, that once we learn to always speak of the welfare of children in the conversation, there would have to be a shift in the world’s thinking at some point about war. Idealistic? Hell yeah! What’s left? With the welfare of our children uppermost on our minds we would know that the implications of information being withheld from us would not bode well for them which naturally means that such would not bode well for the welfare of the world on the whole either. The media would have to yield to the “Power of the People” and let us know what’s going on. But do we ever have a long road to travel, considering that when it comes to the military and war and our children, Uncle Sam is pulling no stops in trying to get them to join the likes of the Few, the Proud… and the Army of One as sure as each day features the rising and setting of the sun. But, with the exception of a few youth oriented organizations scattered here and there throughout the world, we’ve barely begun. But we have begun and the mission is to build momentum – for the children – knowing that over time every great social movement began with small steps that led people out of dark places into the bright lights of a new day. You’re right… if our leaders consistently incorporated the best interests of the world’s children in their decision-making, the world would be a much different place. But for now, at least, it seems like most in charge are guided mainly by lust for some combination of power and personal enrichment. By the way, thanks for not excepting President Obama from your commentary. Too many intelligent people don’t seem to realize that Obama has engaged in many of the same foreign-policy atrocities as George W. Bush. It’s refreshing to hear another voice call this out. What a powerful reminder for us all. Children seem to become lost in the shuffle. As a culture we seem to pay lip service and that’s about it when it comes to the well-being of children. And who in Washington would willingly shuffle their children off to die in war? It is so easy to ignore reality when it’s not in our faces. We barely remember what is was like to have war on our own soil. Thank you for being the advocate that you are for children. We need more people like you. I’m in the process of mass producing such people right now (smile). Shame no hue and cry about the fact that this was the dumbest operation by a government in world history. Believe it or not, but the CIA not only knew where Osama Bin Laden was and where his gang was, but they could have picked them all up and brought them to NYC for trial. It was never remotely necessary to invade the country of Afghanistan and slaughter thousands of women and children. If you don’t believe me, please do not cloud your mind with thoughts about the rare co-inkey-dinkey that Afghan heroin production has increased each year that WE have been playing WAR on terror. I have no disagreement with this article. What ever any one post just please make sure not to hold blame on the actual troops who are participating. No one has won a war in Afghanistan. There isn’t even a government there strong enough to represent the people. We are destroying the way of life of the people there and for what? 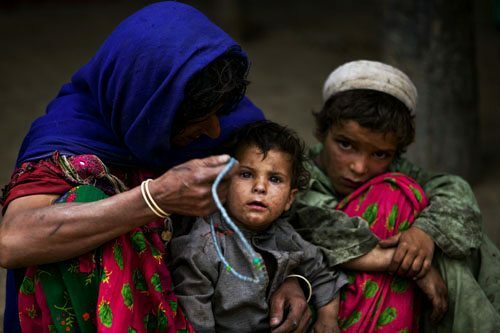 Our soldiers are dying, the people and children of Afghanistan are dying. I thought that when Obama took charge that things would change, both in Afghanistan and Iraq. Yet, we continue to play an unwinnable game. When we leave, if ever we do, we will leave behind chaos. I can’t believe that our government is so stupid. Here our country is in a deep recession with oil now destroying so many lives in the gulf states, and the powers that be continue to play war games. I wish our government would get it’s priorities straight. I thought America was suppose to make the world a better place. An unwinnable game is truly what it is. Truly not the lesson our children need to consider turning their world around. Wow, I agree with every post with a OB Rag article. Never thought that would happen.